I admit, my weakness probably sweets. Sometimes, I even wished that I don't have sweet tooth since I can avoid every food except sweets. But since I have, well, I have to embrace it. YOLO! haha! 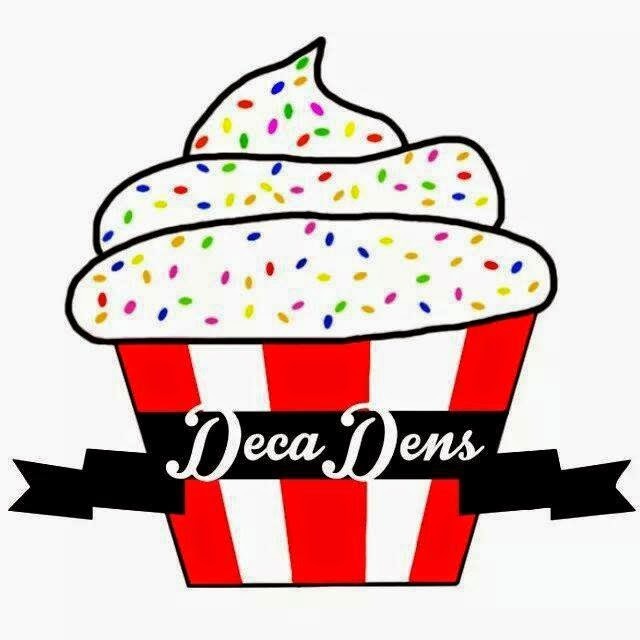 Recently, I was given a chance to taste a dozen of DecaDens Cupcake. It is an online store owned by mother and daughter team up. I have to be honest with you, when I first saw their facebook page, I didn't felt any ooomph factor since it's plain, simple and straight to the point starting up page. They have few flavors to choose from: Simply Vanilla, Red Velvet, Carrot with Cream Cheese Frosting, Triple Chocolate, Chocolate Decadence and Banana with Chocolate Chips. Red Velvet (45 pesos) : Infairness to me (nag buhat ng sariling bangko! hahah!) I have the mastery to determine a good Red Velvet from not-so-good Red Velvet Cupcake. Their Red Velvet has that perfect velvet-y taste. Not too light, nor over powering. Just right. Plus the cream cheese on top! I can compare it (tastewise) with Sonja's Red Velvet. The Creem Cheese may not be as fluffy as Sonja's but the taste really hits the spot! Chocolate with White Chocolate (35 pesos) : The one with chocolate drizzle on top. One of my favorite. Aside from the soft chocolatey cake it has, the cupcake was generously topped with white chocolate icing. I'm such a butter cream girl and this is absolute thumbs up for me! Simply Vanilla (30 pesos) : This one is my least favorite. I'm not sure if I'm just not a fan of vanilla or what. But there's an after taste of flavor with the icing. I guess it's because of the food color that was used since it has the light flower-y after taste. Banana with Chocolate Chips (40 pesos) : My favorite from all their cupcakes! I am surprised with myself as well. The soft banana cake is loaded with chocolate chips that is surely a treat from everyone. Combining a light banana snack with the indulgence of chocolate chips. Topped with light and creamy Mocha icing that reminded me of top bakeshop here in the Philippines. Really really good! Or contact 0923 910 6556.